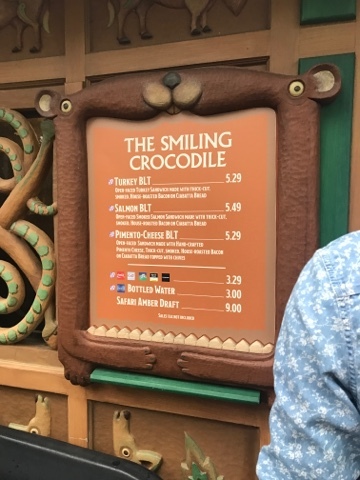 New Smiling Crocodile Menu: The Smiling Crocodile kiosk is located across from the It's Tough to Be a Bug entrance near Flame Tree. The menu here changes often and recently they have overhauled it again to start serving three different BLTs. Essentially, the BLTs are open faced, one slice of bread with "stuff" on top. 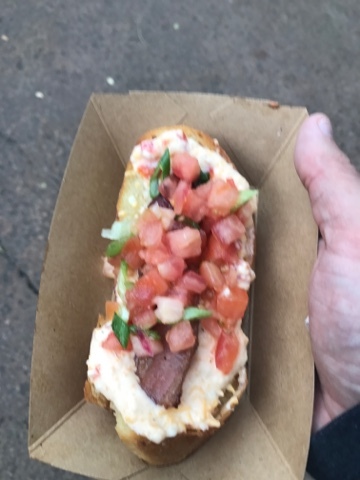 I had the pimento cheese one seen below. It was decent and relatively filling. They are one snack credit, and you can easily use it for lunch. Be warned however, its not easy to eat, so try to find a place to sit. 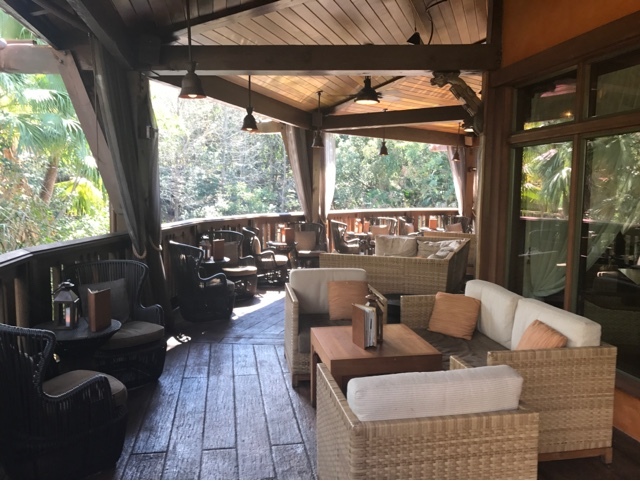 Nomad taking over Avatarland: We all love the Nomad lounge, right? Well then I have good news for you, the bar opening in Avatarland will be run by the Nomad Lounge. So hopefully, that means the same high quality will be found there.